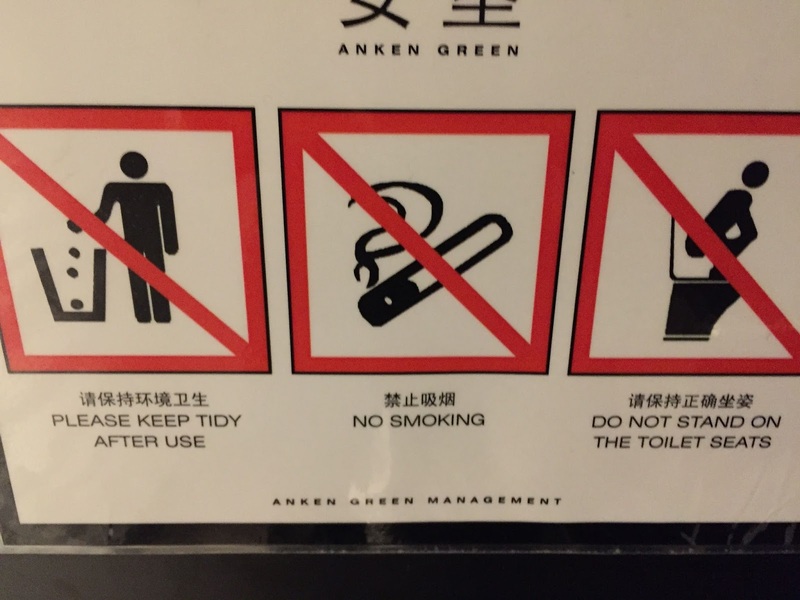 Bathroom etiquette in Asia is definitely one aspect of life that leaves much to be desired. It's an exciting day in the bathroom when there is soap and toilet paper in a public facility, and when there are no footprints on toilet seats. 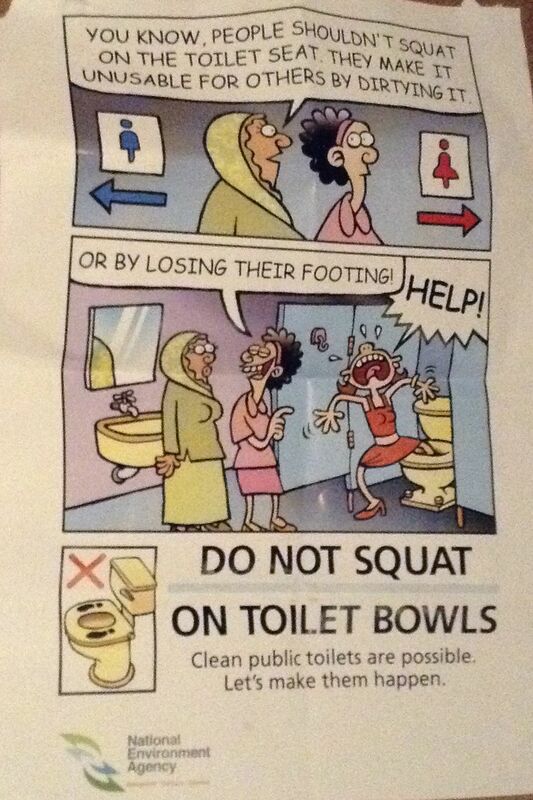 Yes, people STAND on the toilet bowl, because it is a Western invention, and they are used to using squattie-potties. So, without further ado... here's a little humor to lighten up your day! 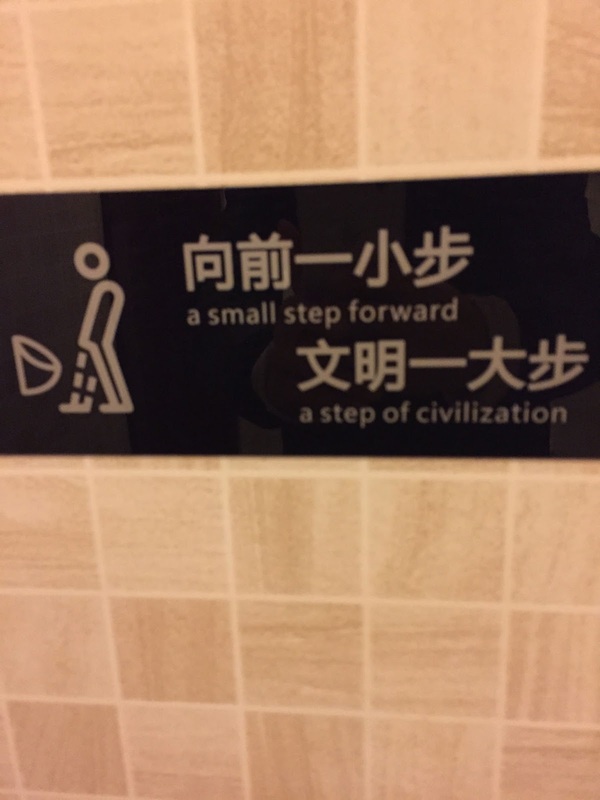 I'm all for civilization progressing forward!